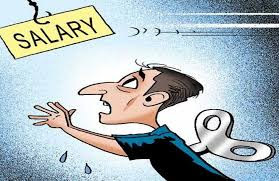 Pay hikes across industries are likely to average 9.5% in the upcoming appraisal cycle, a drop from 10.3% last year, according to Aon Hewitt’s Salary Increase Survey 2016-17 that covered 1000-plus companies across India. While it’s a marginal decrease from the 2016 spends, it show that India Inc. has held its own amidst global and Indian economic and political events, including Brexit, recent changes in the US government and demonetisation. “Political changes and economic headwinds have had an impact on business performance. However, the trend this year reflects a gradual slowing of pay increases and higher emphasis on productivity and performance – quite literally a ‘graying’ of salary budgets for India,” said Anandorup Ghose, Partner at Aon Hewitt India, in a statement. The survey, he says, shows the coming of age of compensation management in India. While majority of the industries projected a sub 10% increase – the business sentiment remains positive and optimistic. Sectors such as Life Sciences, Professional Services, Chemicals, Entertainment Media, Automotive and Consumer Products continue to project a double-digit salary increase for 2017. However they have taken a drop from their 2016 actual spends. The trend of investing in key talent continues. Firms are carving out high potential and hot skills along with high performers as their key talent segment. “The last year has shown organisations take a strong view towards performance differentiation and not only have bell curves become sharper, the pay differentiation between top and average performers has also increased,” added Ghose.